Question: I do not want to auto-start graphical desktop on my Raspberry Pi upon boot. How can I disable desktop GUI on Raspberry Pi? You don't have to run desktop GUI on Raspberry Pi if you are not using Raspberry Pi interactively, but rather remotely control it from terminal or remote desktop interfaces. Besides, even the lightweight Raspberry Pi desktop environment is pretty resource-heavy on 512MB memory, so it is recommended that you turn off graphical desktop unless you really need it. Here is a simple instruction on how to disable desktop GUI on Raspberry Pi. 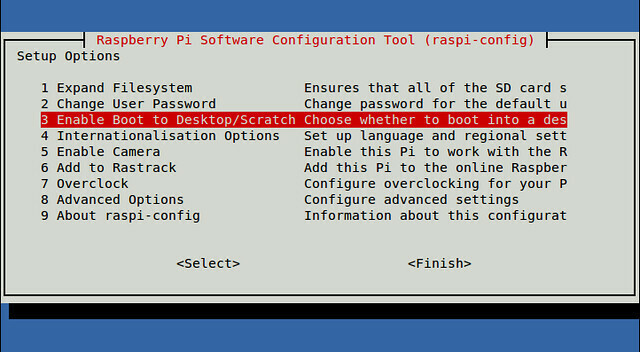 If you are using Raspbian image on Raspberry Pi, you can use raspi-config, which is a Raspberry Pi configuration command-line tool. 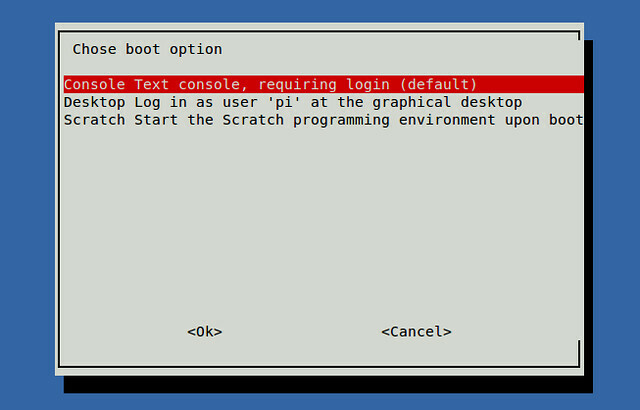 Using this tool, you can change boot options which include console booting or graphical desktop login. 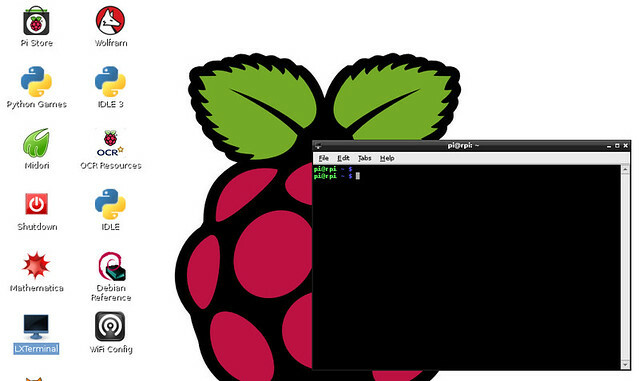 Launch raspi-config from a terminal. Choose the boot option menu. Select text console login option. Finally, press <TAB> key to move the cursor to Finish, and quit the tool. When prompted to reboot, choose YES to reboot. Just what I have been searching for. Needed to disable auto login. I want to remove Pi's desktop, but I don't know what version and name on raspbian,could you help me to resolve this problem?